I *might* eat that if I was pressed for resources . . . I would only eat if absolutely totally completely necessary. I had a pet tarantula. I'd feel much to guilty. I'd eat that! I would, however, like to quibble that SPIDERS AREN'T INSECTS! Ummmmm what if I have a terrible fear of spiders??? 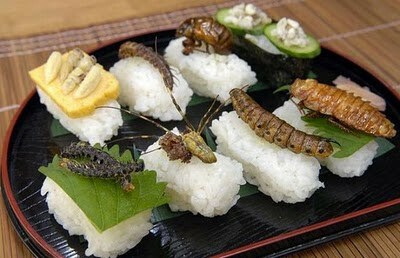 Hmm, that dish really "bugs" me.